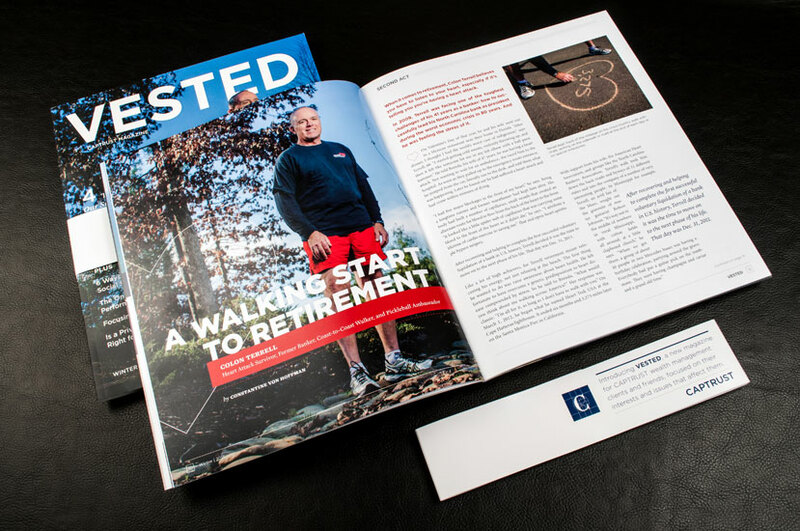 Conversations with clients, investment strategies, educational materials and historical references are just some of the topics touched upon in Vested Magazine. The primary aim for VESTED is to provide clients with timely, relevant, and actionable ideas and recommendations for their financial planning, retirement, and estate planning. The objective for the layout design of Vested Magazine was to draw readers into the page. Concise presentation of the advice and information offered in the magazine as well as professional photography and sleek typography makes the magazine clear and informative. 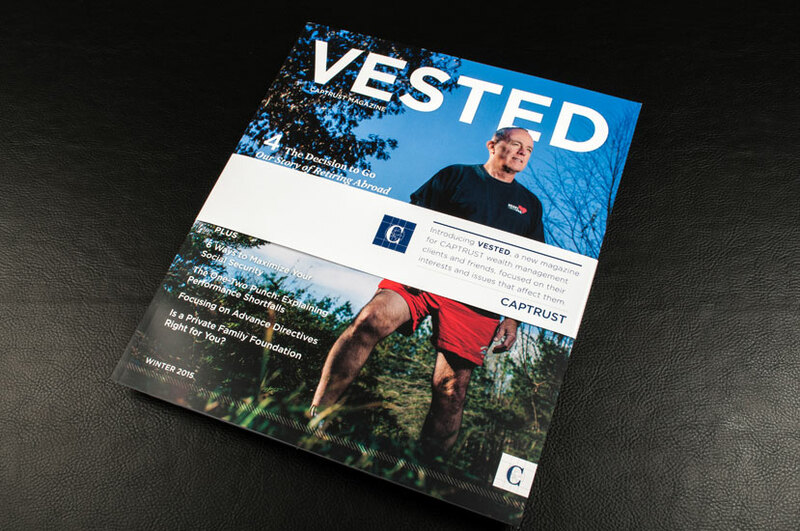 The magazine is published by CAPTRUST Financial Advisors, an independent investment research and fee-based advisory firm based in Raleigh, North Carolina. The firm specializes in providing investment advisory services to foundations, endowments and retirement plan fiduciaries.